Posted November 28, 2018 by Andrea Laford & filed under Headlines, News, Spoilers. 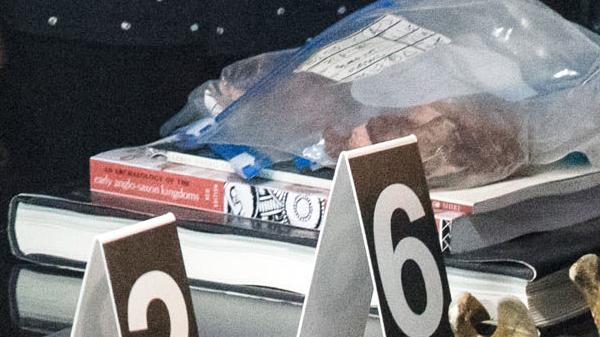 In a closeup of a publicity image for the Doctor Who 2019 New Year’s Day Special, a title of a book is visible. An Archaeology of the Early Anglo-Saxon Kingdoms by C. J. Arnold is a genuine book on early British history. As the New Year begins, a terrifying evil is stirring from across the centuries of Earth’s history. As the Doctor, Ryan, Graham and Yaz return home, will they be able to overcome the [alien] threat to planet Earth? Though the initial events of the episode take place “as the new year begins,” the special will not have a New Year’s theme. 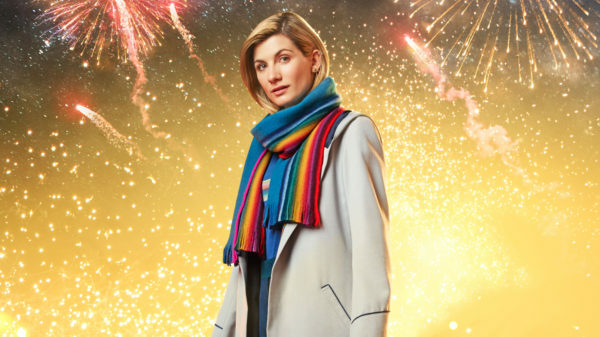 The Doctor Who 2019 New Year’s Day Special is written by Chris Chibnall and directed by Wayne Yip. Daniel Adegboyega guest stars as Aaron, possibly Ryan’s father. 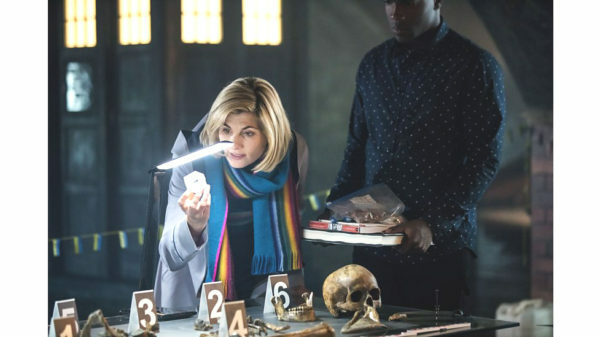 Though the title of the Doctor Who 2019 New Year’s Day Special is not yet announced, a television schedule release reveals it airs 7:00 p.m. on January 1. 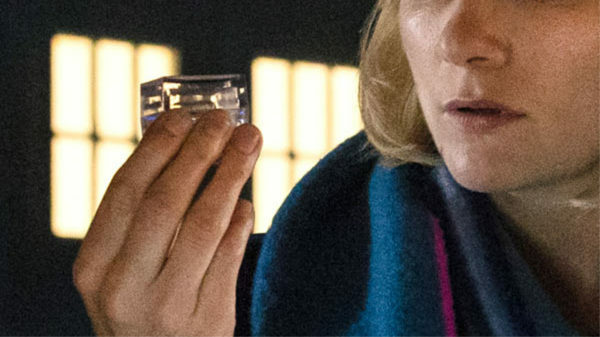 The special will also air at 8:00 p.m. on BBC America with a “Who Year’s Day” marathon lead-in. There will be a “first glimpse” of the Doctor Who New Year’s Day Special on BBC One following the series finale, The Battle of Ranskoor Ave Kolos on December 9. Perhaps the title of the special will be announced then. We’ll keep you posted as soon as we find out more.